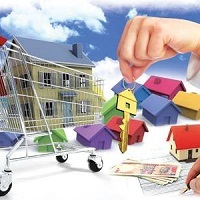 Propertyhub is a well known associate when it comes to Buying Property in Goa. We provide the best services related to purchase of all types of Residential Flats,Residential Apartments, Land, Plots with and without View, Commercial Office Space, Hotels / Resorts, Industrial and Institutional Plots. Our services are highly appreciated by clients we have served. We do stringent research of the property on the parameters like zoning of the property, proximity of the area, basic amenities, resale value, environment, CRZ, surroundings and the past records of the property and provide full satisfaction to the clients. Our rich database also has information about land and plots for Residential bungalow and Hotel, Resorts, Projects in Goa and we provide highly regarded assistance in buying them.